Eureka Springs School of the Arts brings together people with mixed backgrounds, ages, and nationalities to work with their hands in a supporting and encouraging way, welcoming all regardless of their talents, skills and interests. Support for ESSA is provided in part, by the Arkansas Arts Council, an agency of the Department of Arkansas Heritage and the National Endowment of the Arts. ESSA is an IRS 501 (c)(3) nonprofit organization. Donations are tax deductible to the extent as allowed by law. The Eureka Springs School of the Arts has established the vision of being a premier art school in Mid-America. We feel that we are poised to develop that potential due to our rich history, gifted leadership, and the support of the community. We have created achievable goals that move us towards that vision in a concise and clear manner. By thinking about ESSA as an internationally known art school, we feel that we are positioning ourselves to create a rich and vital art education experience for all those that participate. This is ESSA’s mission and its continuing quest, to provide educational opportunities in visual arts and fine crafts in a geographic region of the country that inspires creativity. Eureka Springs is ART – historically, currently and even topographically. 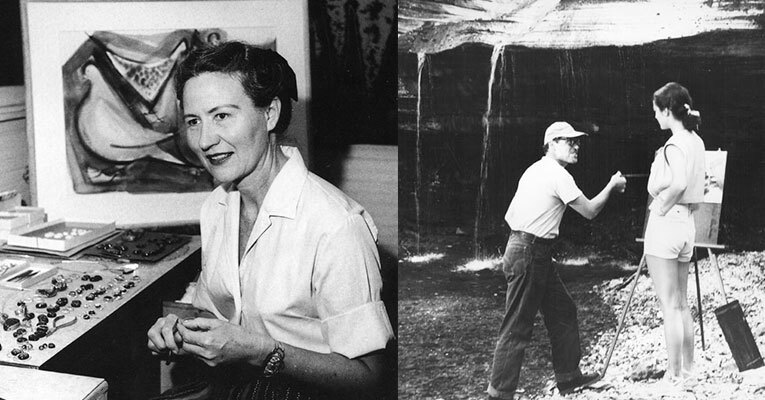 Building on the legacy of Elsie and Louis Freund who started the first art school in Eureka Springs in the 1940s, ESSA was founded by committed, widely respected artists and patrons within the community that felt they both had an obligation and an opportunity to provide art education. ESSA started as a school without walls; a few committed artists taught art classes in their studios. Today, nearly a hundred workshops a year are offered across all disciplines for all ages and skill sets on our 55 acre ESSA campus. Leading artists and instructors from across the nation come to teach at ESSA and student enrollment continues to grow. Chronologically, ESSA officially began in 1998 when a Board of Directors formed and became incorporated. ESSA received its 501(c)3 status in 2001. With the help of an Emerging Art Agency three year grant from AAC Arkansas Art Council, ESSA hired their first Executive Director and continued to offer classes in individual artists’ studios until the current campus was purchased in 2004. Campus offerings have grown from four weeks of intensive workshops, to year-round offerings of one-day to five-day workshops.